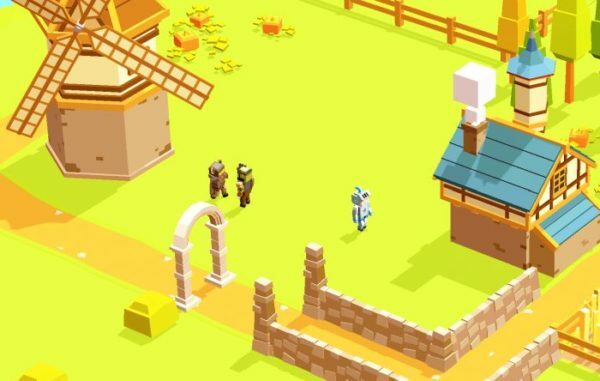 Pocket Build can be an entertaining experience, but that’s only if you have the basic mechanics and gameplay elements down. That’s why we’re here to help you figure out how to build roads in Pocket Build. Giving your creations a stronger sense of order and connection, roads connect your structures and can provide your inhabitants with a logical means of getting from one place to the other. They’re easy enough to construct too. All you need to do is open up the main menu and find the Pathways section of the world building menu. This will allow you to lay down a variety of road and pathway builds, from streets to branching paths. Of course, pathways have their own restrictions to keep in mind, so we’ve broken down some of the most important for you. Like anything else in the game, pathways have limits to where they can be placed and how. For example, while you can build a pathway leading up to a house or other structure, you can’t build the path on top of or inside of the structure. Likewise, you can’t build pathways and roads on top of one another. Doing so will prevent you from placing the road or pathway down in the world, forcing you to either delete the previous road or abandon the new connection you’re trying to make. There are some instances where the game can glitch out and allow you to place multiple roads or pathways on one tile, but it’s typically faster and easier to try using a different pathway or building on a different tile. Keep these tricks in mind and you’ll be building more roads in Pocket Build than you know what to do with. For more on Pocket Build, check out our guide on how to delete land.